Sunshine Through the Rain: Goodbye 2014! Well my aim for 2014 was to make more quilts (rather than smaller projects) and I think I can say I succeeded! 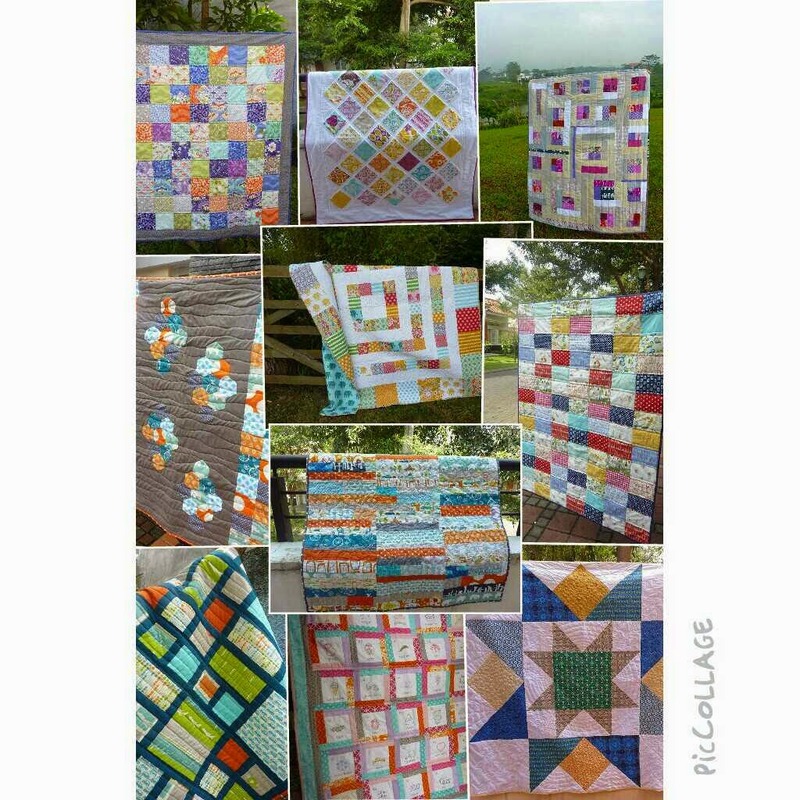 Each of these quilts was made with a particular recipient in mind and was gifted to them with lots of love. This in turn has brought me a lot of joy. I also enjoyed working on lots of smaller projects in 2014 and the final finishes I have to show you are a miniquilt that I made for the #igminiswap on Instagram, and a small miniquilt that my son made for his teacher as a Christmas gift. Linking up with the 2014 Finish Along. My #igminiswap quilt is my final finish for this year! One year of blogging - a good milestone. You certainly have had a productive 2014 and have blessed many people with your creative endeavours. I hope 2015 will be even more satisfying for you. Congratulations on a year of blogging. And an even bigger congratulations on achieving your goal. Do you have a new goal for this year? Happy 1st Blogiversary!! What a great year of sewing, you've made so many beautiful quilts. Lovely quilts! Happy new year. fab quilts you made this year and I love that mini! 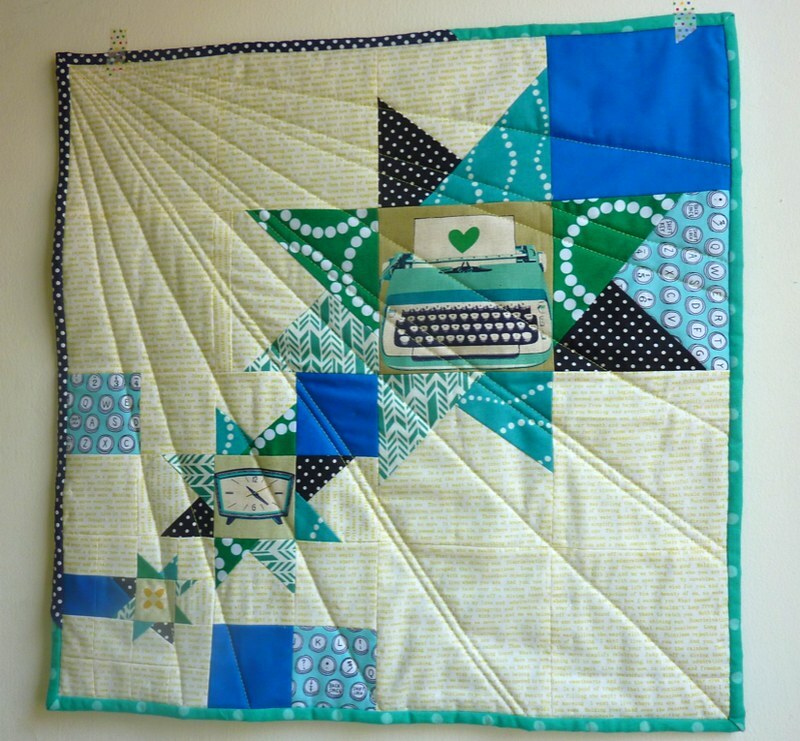 Wow lots of amazing quilts and I adore both those minis. One year blogging - yay! Happy new year, Deborah! 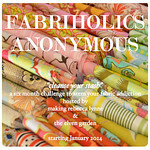 I'm so glad you started your blog because I enjoy reading it and sewing your gorgeous creations. 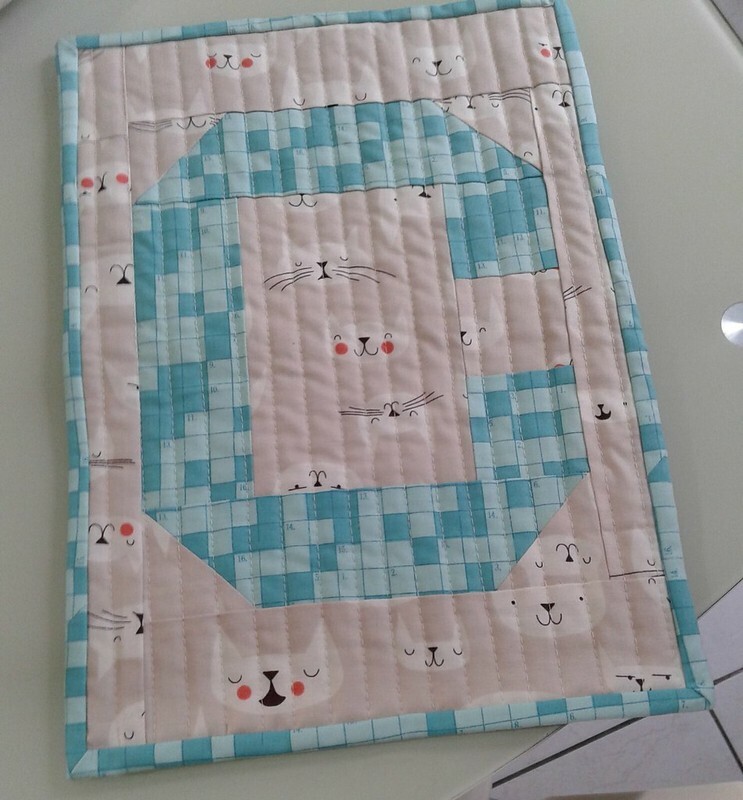 I still prefer making quilts as opposed to small projects. They just seem like a lotta work for a small outcome! Your quilts all look lovely. Great colours. You done prettty well! Congrats as they are pretty ones!